I often find myself pausing, Oxo brush dripping suds down my right wrist and my left hand with a tenuous grip on a soapy earthenware bowl or cup. I had started to clean the outside first. Consciously I move to the inside and tackle the uneaten sludge there before moving to the outside. No longer paying the task at hand much mental energy, I pray to God to search my heart. 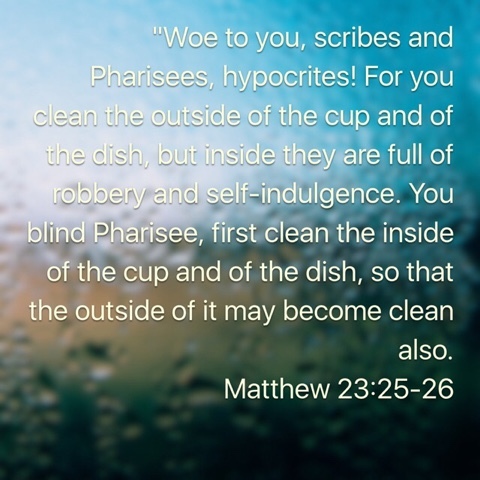 Washing dishes almost always brings to mind Jesus strongly addressing the Pharisees. A gentle reminder of what this means beyond doing my duties inside out seemed in order. 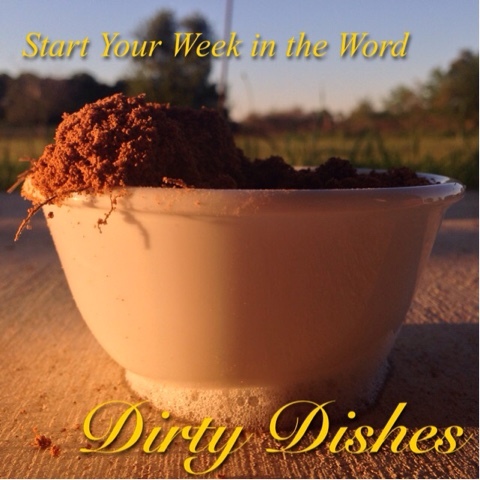 Jesus isn't talking about oatmeal turned concrete, He's addressing the status of our hearts. Whatever a "clean" bowl looks like ... I think these days that is different for everyone. The bowls and cups Jesus was likely familiar with were each one of a kind. Pharisees I imagine wanted to look something like freshly washed Corelle ... white and sparkling and smooth. But perhaps some of us are concerned with appealing to those around us to the point that we've forgotten what we carry. I doubt many of my generation are focused on appealing to the church leadership in much the way the Pharisees were. Let me put it another way that I think may strike the heart of those of us who know we can't whitewash ourselves. It doesn't matter if I become homeless and dress in rags to reach the homeless ... if my heart isn't clean there is no way for Christ to shine through to them and my efforts are in vain. It doesn't matter how many nights we snuggle with the girls reading Bible stories before bed. If we don't live it out in front of them they are just stories. Are we doing it because it's the right thing to do or because it is the way we live? Is it the overflow of our hearts? 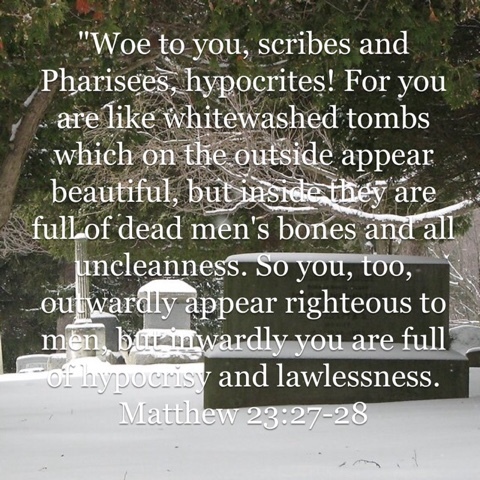 Very few of us these days identify with the Pharisees ... At least, that's my guess. That in no way means we aren't capable of the same things. 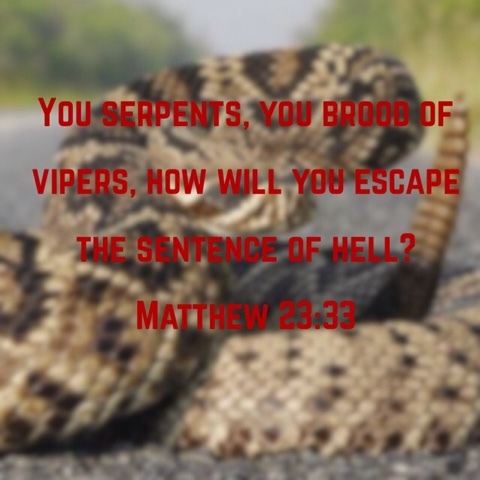 Our bowls may look different but we are just as much at risk of joining that brood of vipers if our hearts are not clean. Don't worry about the outside ... if the inside is clean, the outside is going to take care of itself. A lot more goes on inside of bowls and cups anyways.